Standard Horizon CP1000C | Our final look at the Standard Horizon CP1000C chartplotter. The Standard Horizon CP1000C is a large screen colorized version of the original CP150 Standard Horizon GPS chartplotter. It measures just over 13.5 inches wide by nearly 9 inches high and is equipped with a huge 10.4-inch color screen boasting 640 x 480 resolution. Well known in the marine electronics field for quality VHF radios Standard Horizon stormed into the GPS chartplotting arena in 2001 with the introduction of the original monochrome CP150. At that time it was the least expensive fixed-mount marine GPS chartplotter on the market capable of using cartography-on-a-card technology. We mounted the demo unit to a test stand using the metal mounting bracket shipped with unit. We found the supplied bracket a little wobbly and the knobs that secure the unit difficult to tighten firmly. Our preference with a display unit this large would be flush mounting, its more secure and can be accomplished with the provided hardware. We rated the Standard Horizon CP1000C display screen good for daylight viewability. Four preset color palettes are available, normal, classic, night, and sunlight. High screen brightness and selection of the sunlight color palette helped achieve this rating. It is viewable to a 60-degree angle when not wearing polarized glasses. With them on, the screen darkens slightly but is still viewable to about a 45-degree angle, though it blanks by about 60 degrees. Nighttime viewability was rated Excellent. The CP1000C has a very wide range of low light screen brightness adjustment when its 6 levels of brightness are used together with its 21 levels of contrast adjustment available. Panel lights are preset at the factory to one level. There have been several reports of screen fogging at various boating forums and websites with the CP1000C. However, we did not experience any during testing and have since checked with another long time user who also reported no screen fogging in his display unit. Our previous experience operating the original CP150 proved valuable on the CP1000C as the software, menus and methods of operation are very similar. With a total of 25 pushbuttons and a joystick we found operating the CP1000C a breeze. The real interface advantage of the larger unit over the original is addition of an alphanumeric keypad and five soft keys. The telephone style keypad makes manual data entry far easier than on a unit not so equipped. The five soft keys are set by factory default in the Home mode to select various available pages, like Chart, Navigation, Highway, or Video. In other modes the soft keys change function to suit the particular mode of operation in use. Each soft key function is also user customizable. This Standard Horizon chartplotter will store up to 3000 waypoints and as many as 50 routes. Waypoints can use one of 16 symbols in one of eight colors with a name up to 10 characters long. The latest versions of the Standard Horizon CP1000C were capable of interfacing with the companies FF520 black box sounder. Early units required a free software upgrade to work. We found chart redraw speed to be fast, normally taking less than a second to fully redraw the chart after a map range change. Minimum range with a C-Map card installed is approximately a tenth of a mile to an inch of screen space, not the lowest weve seen but more than adequate. With no map card installed and only the internal base map in use the minimum range is two miles. A celestial page displays tide data from the nearest tide station in both graphical and digital format, moonrise and set, sunrise and set, latitude/longitude, and current time. The CP1000C ships with a pair of video inputs located on the back panel. They allow the display of video information from a camera or VCR. A camera placed in a critical area, like the engine room, can instantly display activity in that area on the screen. Adding a second camera in another location would allow a second video source available for display. Video input is selected via soft key or menu. 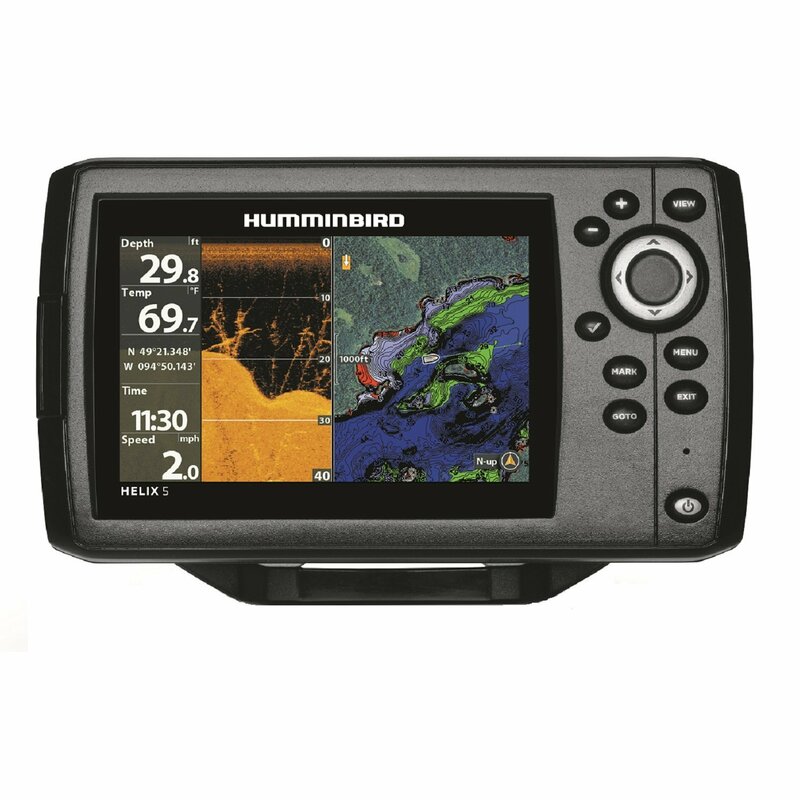 Boaters with less than perfect eyesight will love the Standard Horizon CP1000C with its large screen, good viewability, and large font capabilities.